Ugh, hot flashes ain’t fun! 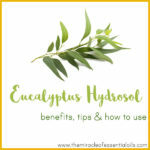 Try an easy DIY essential oil blend for hot flashes to relieve that awful burning sensation and feel better naturally! 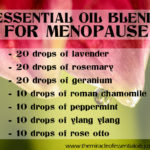 Making your own essential oil blend for hot flashes is easy and therapeutic. What exactly are hot flashes? Hot flashes are often caused by changing hormonal levels on the onset of menopause. When you are experiencing hot flashes, you get a feeling of intense heat spreading throughout your body, starting from the face. For some people, hot flashes can even make them feel faint, sweat and increase heart beat. They last around 2-30 minutes and disappear just as suddenly as they arrived. 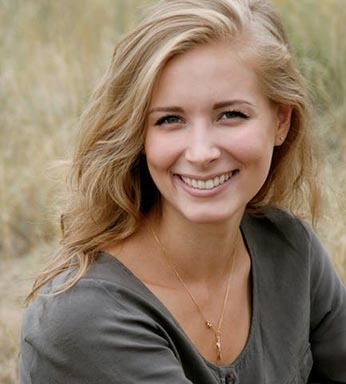 You may also experience redness on your face or body and your skin can feel hot to touch. There are several remedies you can use to relieve the symptoms of hot flashes. Some of them include taking cold showers, turning on the AC or ceiling fan, splashing your face, hands and neck with cool water and so on. 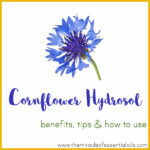 There’s another interesting way to ease hot flashes and that is to make yourself a handy spray to spritz on your face, neck and arms when you feel a hot flash coming on! This spray uses essential oils as the active cooling ingredient. 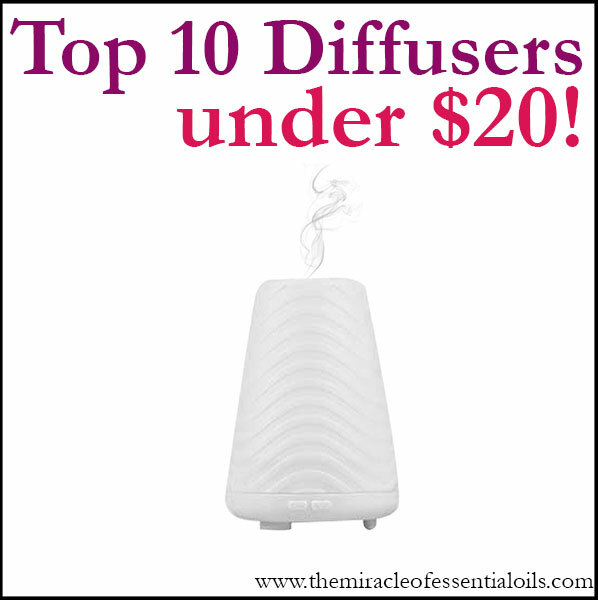 Before we look at the recipe, let’s check out the best essential oils for hot flashes below! 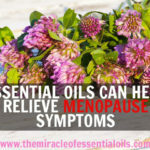 The essential oils below are beneficial for hot flashes because they provide a cooling and refreshing sensation to skin, they have skin soothing properties and they help numb burning pain. The best way to use these essential oils is by emulsifying them then making a cooling facial spray or body mist or adding them to a bath. 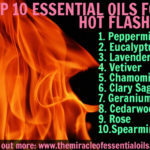 We shall share the recipe for an essential oil blend for hot flashes below! Into an amber spray bottle, add the pure aloe vera gel followed by two drops each of peppermint and lavender essential oils. 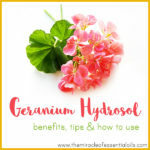 Do not add more than two drops because using a lot of essential oils can cause a burning sensation on skin! Now pour 1 cup of distilled water into the bottle. Replace the spray top on the bottle and shake well to mix. 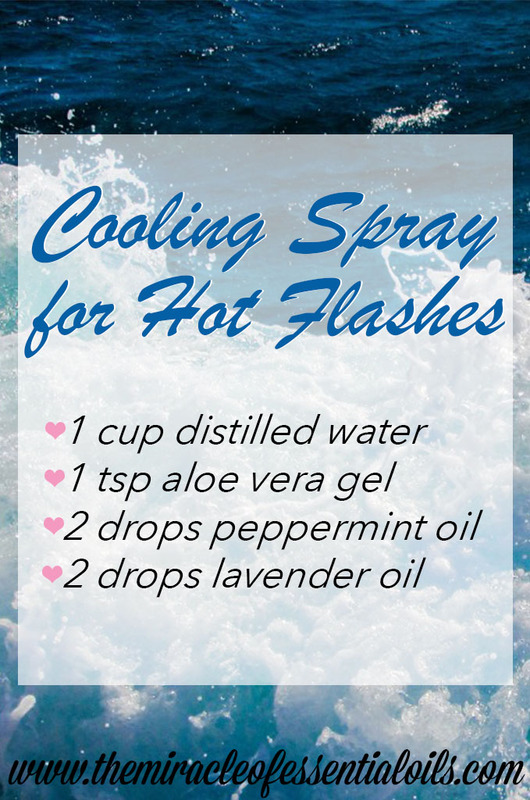 This cooling spray is your essential oil blend for hot flashes! Spray it on your face (with your eyes closed), arms and neck to keep yourself feeling cool and fresh when hot flashes strike!